2. 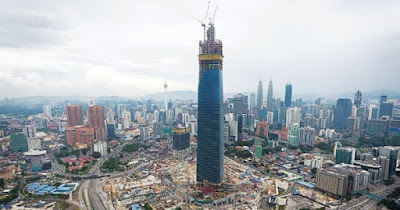 Mulia Property Development Sdn Bhd (“Mulia”) , a company incorporated in Malaysia has a paid up share capital of RM500,000.00 and it is jointly owned by The Mulia Group (49%) and MKD (51%) . The cost of the development of the TRX Tower will be borne by the two shareholders based on their respective proportions of shareholding in the JV based on the original cost of the development. Ke Mana Perginya Hasil Cukai?